If you are looking for a restaurant job where employees are proud of their managers and enjoy working with their coworkers, this is the place for you. According to employees, Texas Roadhouse has a lot of regular customers, and getting to know them is like growing your family—only you don’t have to support them. The employees all agree that this is a fun place to work. A lot of places claim to treat employees as if they were family. Here, the workers make the claim. Texas Roadhouse has a respectable Twitter following, and if you want to know what the company culture is really like, check it out! Let’s put it this way. One of the customers tweeted: “What are they paying them with? Vacations in the Caribbean?” If you enjoy working in a Western-themed restaurant, offering fried pickles and killer ribs, you need to stop right here and use the Texas Roadhouse application online and land a job before someone beats you to it. All positions at Texas Roadhouse make use of web application submissions. There are four separate areas for applying depending on the position you want. If you are looking for a starter job, click on the Apply Here icon, and fill out the Texas Roadhouse application provided. For managers, district supervisors, and corporate office positions, you’ll need to have a freshly updated resume. For hourly jobs, such as server or cook, submit a Texas Roadhouse online application here. For managers in local restaurants, check out the openings and apply here. For jobs in the main office, which Texas Roadhouse calls the “support center” instead of corporate office, use this link, especially if you believe you may be one of the “legendary people” they are waiting to hire. And if you would like to be considered for the next managerial opening in your area, submit your resume here. Anytime that you go to apply for a job, it is important to make the best possible impression. In the case of restaurant work, you should make sure your hair is either short or up off your shoulders for the interview. Clean under your nails, and if you wear any polish, keep it clear. Wear clean, unwrinkled clothes with no rips or stains. Avoid wearing drooping pants or pants with cuffs that drag on the ground. Always call your interviewer by the name they introduce themselves with. Always use your “please” and “thank you” when asking a question and in response. Manners are never in bad taste and always make a good impression. It’s normal to be nervous during an interview, and interviewers know that. Try not to fidget or look at the ground as if you’re ashamed. Complete the Texas Roadhouse job application completely, without any errors, and you are a step closer to getting hired. Make sure you take a printout of your application with you in case you would like to modify an answer in person. Texas Roadhouse is on the lookout for legendary people to work with them. When filling out your Texas Roadhouse application, give examples of how you helped someone when you didn’t need to do so. Regardless of the type of job that you are trying to land, explain what skills you believe Texas Roadhouse can help you learn or improve. Make it clear to the interviewer that you know that you want to become better in a particular area and are willing to work hard to do so. If possible, go eat at the restaurant where you hope to be hired. Eat something off the menu, and pay attention to how the servers behave when they think no one is watching. How do they present the food? Meat facing the customer, water or beverage placement? Do they remove plates when the customers push them aside right away or wait until the customer leaves? Use the restroom, and see if it’s clean and stocked with supplies or dirty and paper towels needed. Watch how the kitchen puts out food. And most of all, become familiar with items on the menu. If you are applying for a manager’s position, you will need a resume. Instead of just updating a resume on hand, write one especially for Texas Roadhouse. Include examples of personal experiences where you are proud of what you achieved, incidents where you ended up being a leader by default to accomplish a task, and how you worked as a team player that resulted in a positive outcome. This type of information tells more about your legendary character than a list of employers or speeches. The interviewer might ask you various questions based on some examples, and you need to be prepared to answer them truthfully. In addition, they also might want to look at your certificates and degrees related to a particular field. Have copies with you. Be ready to explain why you would be the best possible fit for Texas Roadhouse and why you want to work there. This means you may have to do some research about the company and understand what you can add to the mix. All employees qualify for health insurance, meal discounts, a week’s paid vacation after a year on the job, and company outings so that everyone can gain respect for each other outside the confines of work. The company pays short-term disability for all employees as well, which means if you break your arm at home and cannot work for up to twelve weeks, the company will send you your normal pay! To know more about the benefits you can get, just fill out the Texas Roadhouse employment application. Texas Roadhouse does something unique for anyone in the job hunt—they post all the openings as they come up on Twitter! From your mobile phone or tablet, all you have to do is click on the hashtag to get the details before the job is gone! Plus, the employees, customers, and followers post photos and other interesting tweets that let you get to know the people who really operate this restaurant. 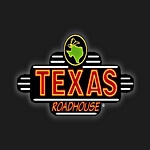 http://www.texasroadhouse.com/careers or on Twitter https://twitter.com/TXRHJobs.